All the colors come out to play in their muted glory, instead of the cacophony of neon that nighttime brings. It’s just perfect and cozy. 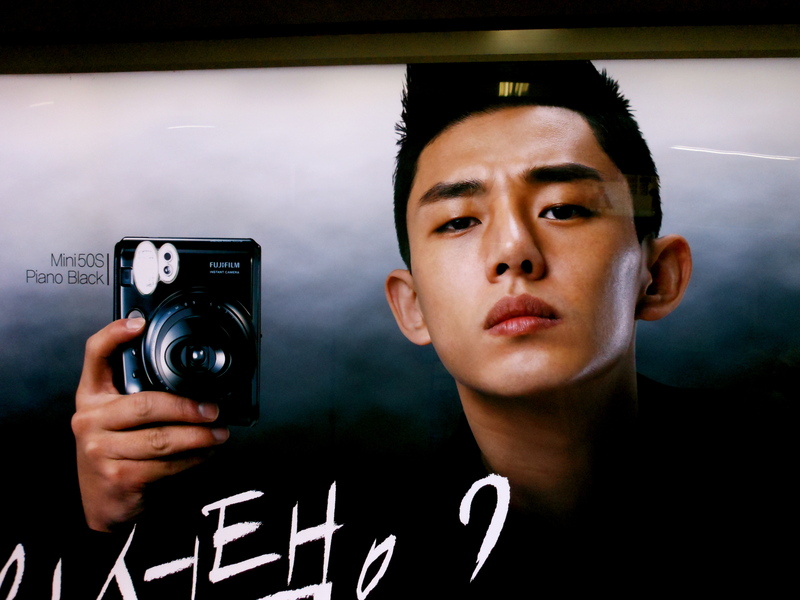 “It’s a camera, mofo…” this advertisement seems to shout. The crush of a Saturday afternoon in the subway of Seoul follows me even as I step off the train at Hohyeon Station, pulled along with the crowd to one of two exits leading the the market. And I do mean The Market. 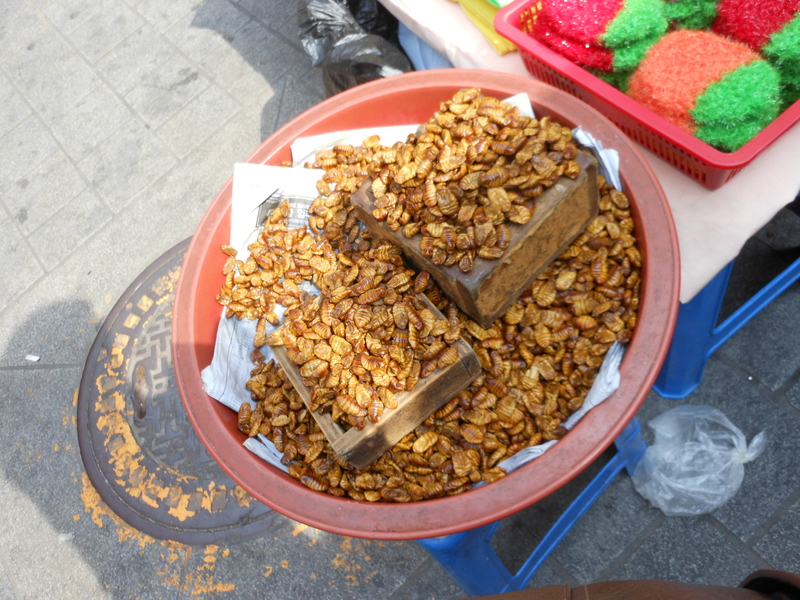 Namdaemun Market is the largest outdoor market in the city, and most likely the largest in the entire Republic of Korea. 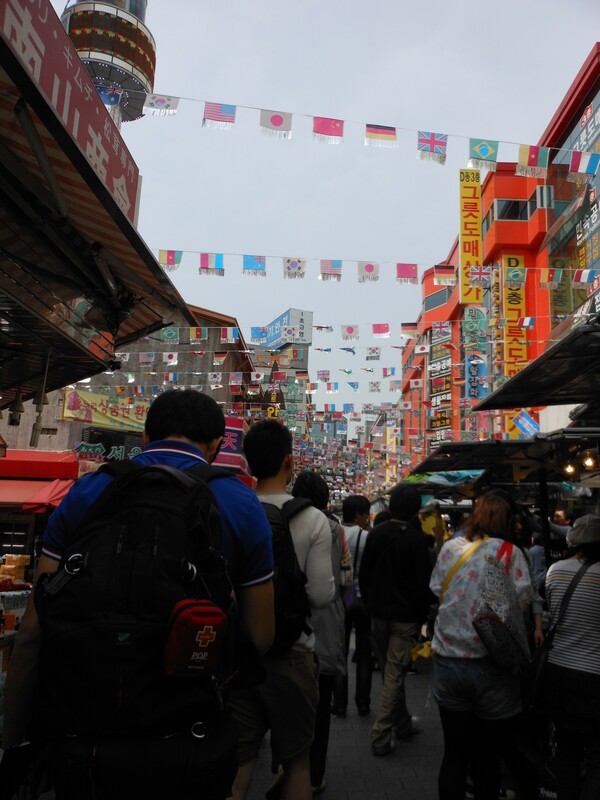 It’s so large that the vendors spill out of the main streets of the market and into the subway station, so I am already in the market from the moment the crowd begins to pull me forward. 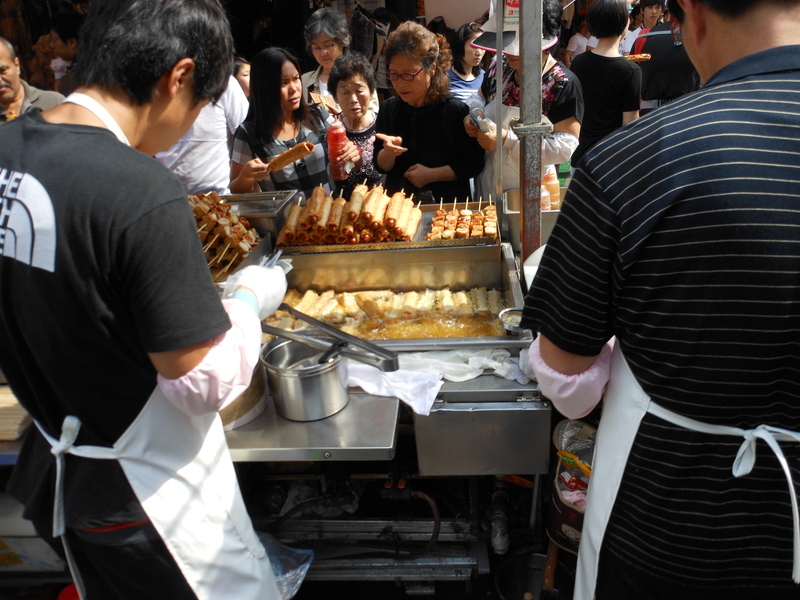 The smell is a mixture of alive and vibrant fruits and the slightly dead smelling roasted Bbun-dae-gi (caterpillars) roasting behind nearly every cart. The buildings are closer, the quarters even closer…I find myself stumbling into people left and right, but not apologizing. 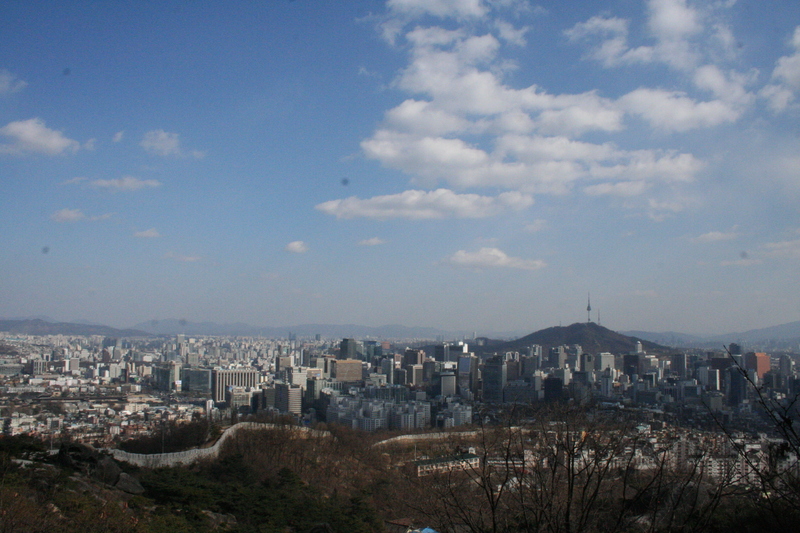 It’s a big effort in Korean, plus this is the big city. People are used to the odd ill-timed foot stomp. 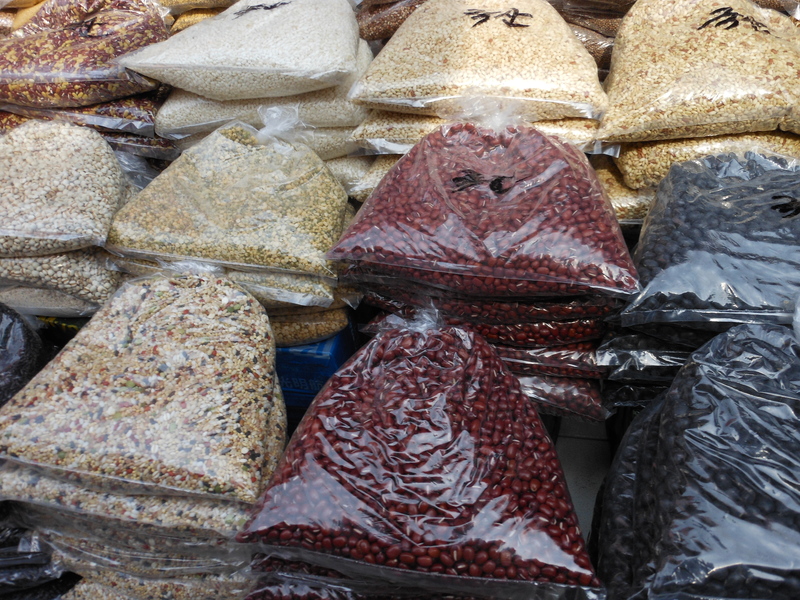 I came to the market on a whim when the plans I’d made for the afternoon fell through, with the vague intention of finding a bead shop so that I could continue my amateur jewelry. I miss the feeling of silver wire between my fingers…the satisfaction at seeing an earring take shape. 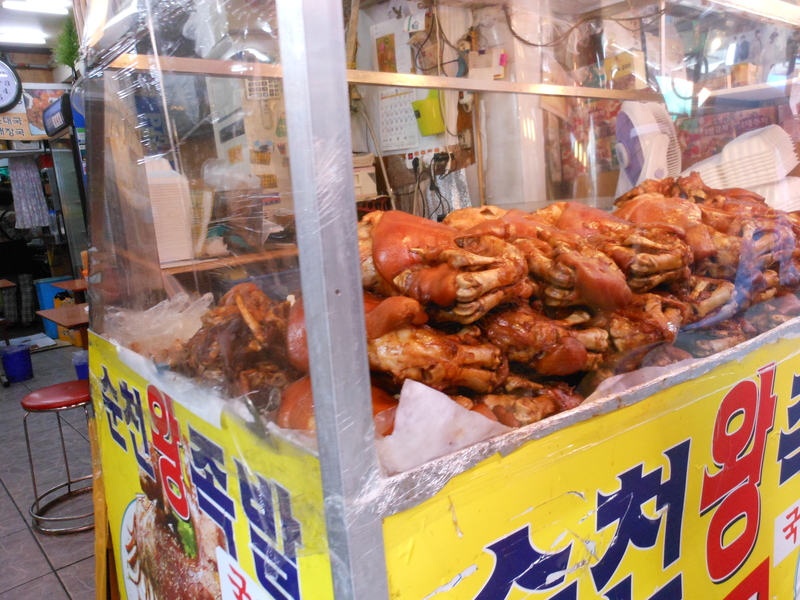 I wander through the market aimlessly, wondering at the stacks and stacks of scarves from China, knock-off watches and sunglasses, and piles of pigs’ feet. The latter looks disgusting and smells delicious, but the deterrent of the massive wall of the language barrier keeps me from ordering. I’ve learned a lot of Korean in three months, but “Please make sure that’s heated to an internal temperature of 80 C” is not part of my lexicon. The market is hot. It’s crowded. There is a terrifying clown gesturing at a children’s clothing store. 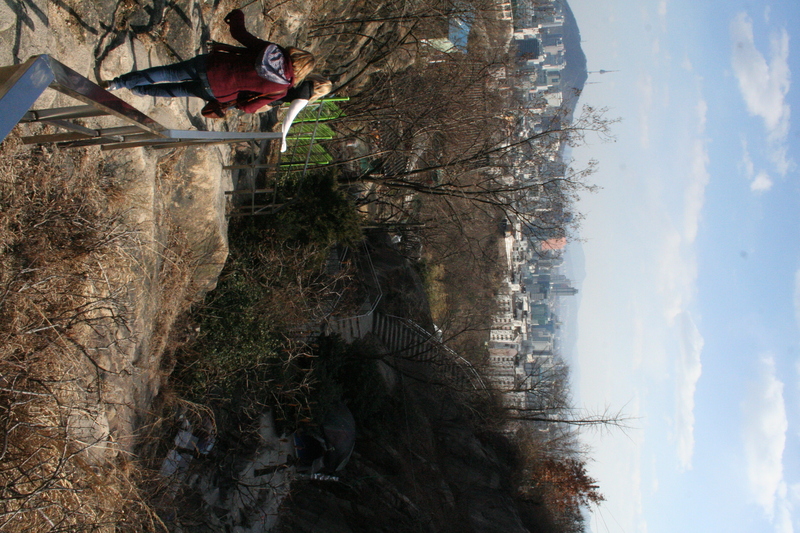 It’s real Korea, down and dirty. Beautiful and vibrant. I’ve always loved the dirtiest and most chaotic parts of countries, from Napoli in Italia to Barrio Brasil in Santiago, Chile to the winding back roads of Perù. 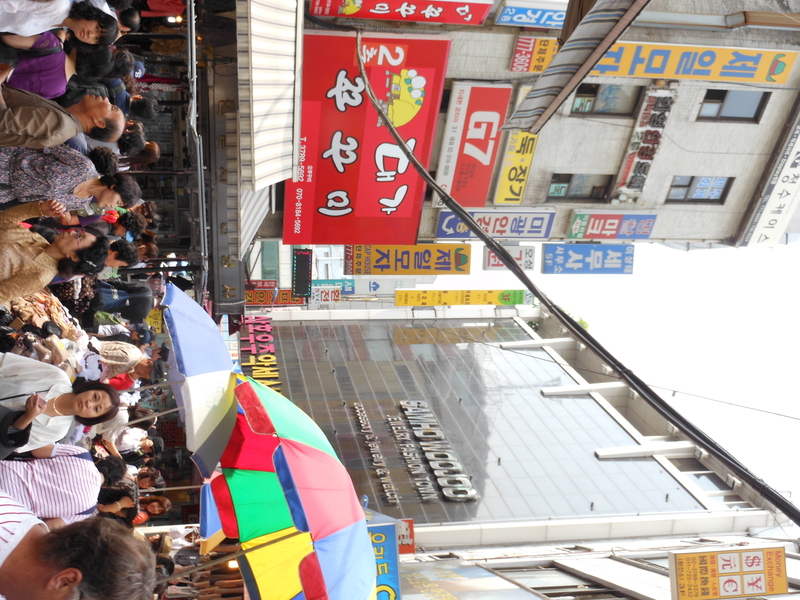 Namdaemun is the incarnation of that beautiful chaos. 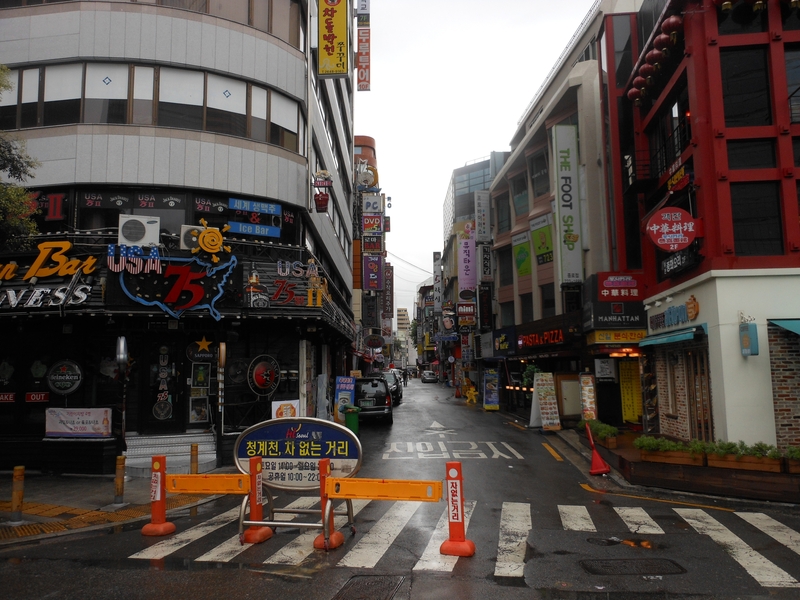 It occurs to me that I actually feel like I’m in Asia, for the first time. As I wander back to the subway, wallet only slightly lighter from buying socks with KPop stars on them and emblazoned with “I LOVE YOU” in English, I stop by the pineapple stand. 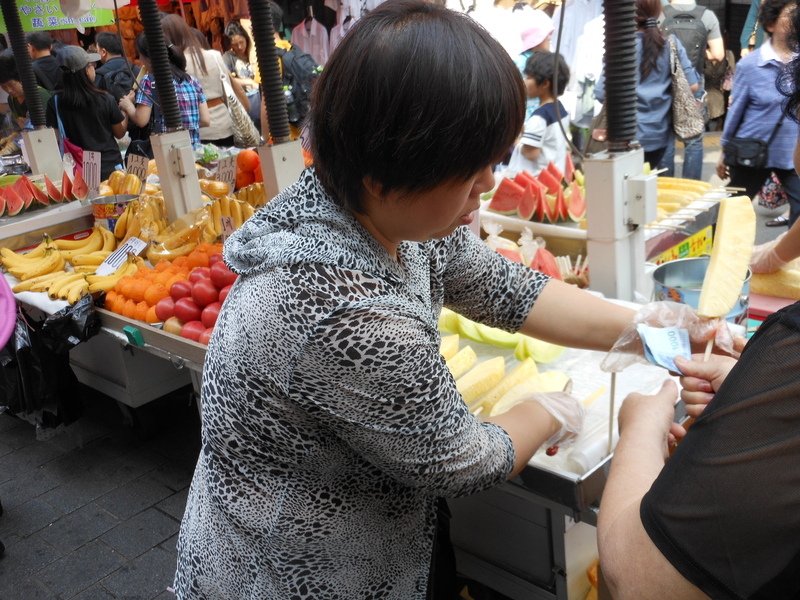 For 천 원 (~$1), I order a slice on a stick, the juice dribbling down my chin as a I walk into the endless subway. I pause to admire a few cheap skirts and try to keep the juice from the fruit from hitting any part of them, the searing eyes of the woman running the shop on my every move. She walks over, muttering “No, no, no…” as she take the skirts and rearranges them just so. She gestures herself wider with her arms, puffing out her cheeks in a caricature of a chipmunk. Despite my healthy snack, she obviously is telling me I’m too fat for these clothes. “Pig sizes over there!” she snaps, the P and B awash in an unintentional pun she’ll never catch. 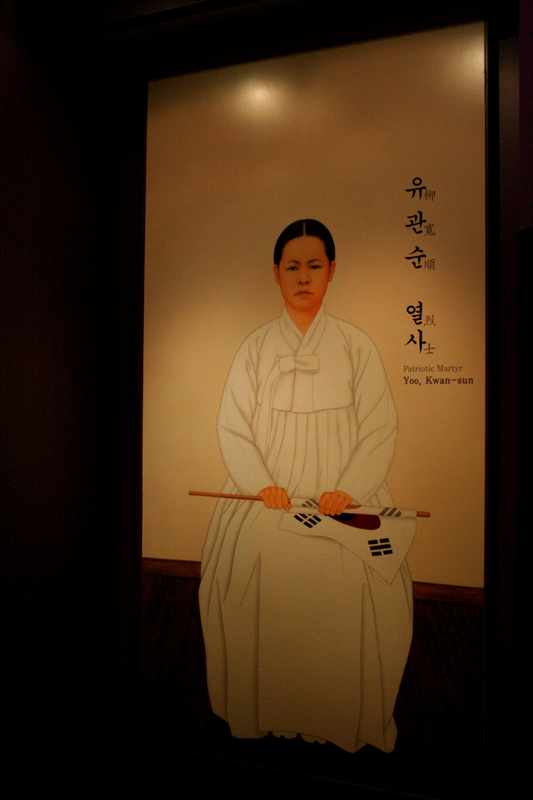 I laugh, finish my pineapple while humoring her by casting a glance at the “pig sizes.” I’ve just been ajumma’d. It’s time to disappear with what little grace one can after such humor back into the anonymity of the crush, the plasticity of the big city. 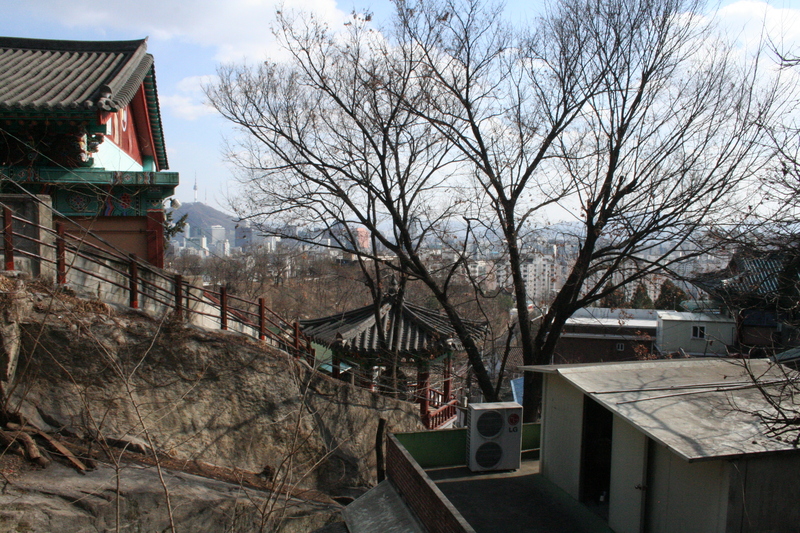 Today was a beautiful, cold, crystalline day in Seoul. The wind blew through the buildings and played with my hair, reminding me of the strong winds of Patagonia. It was one of those days where my hands felt frozen to my camera. 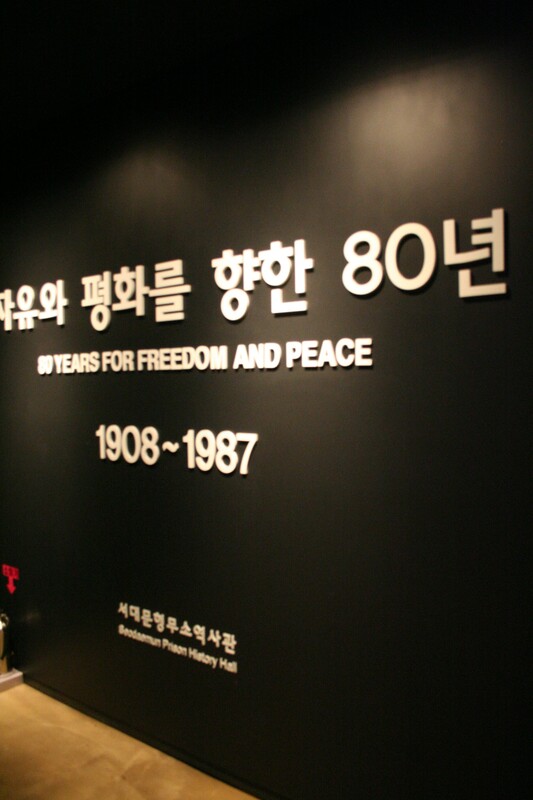 The day began with the quick train to Seoul, and to the Seodaemun prison. 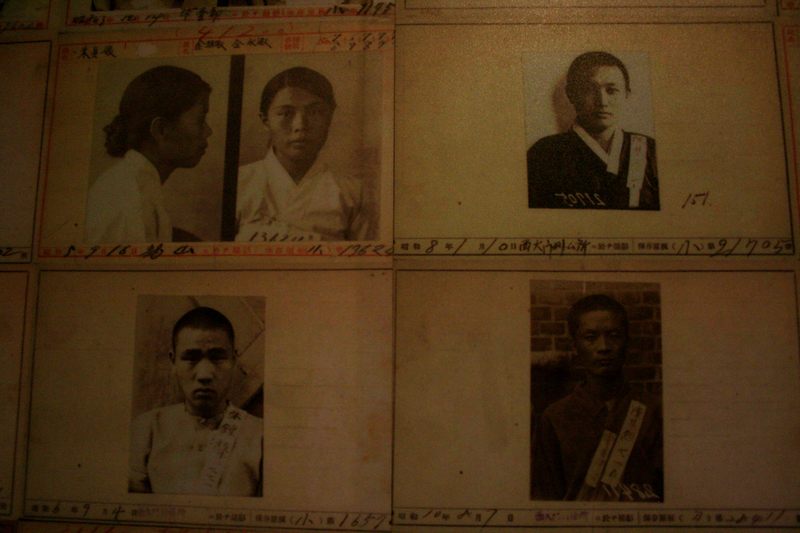 This was a facility that was in use from 1908-1987, and housed those who dared to stand up to Japanese colonial rule. 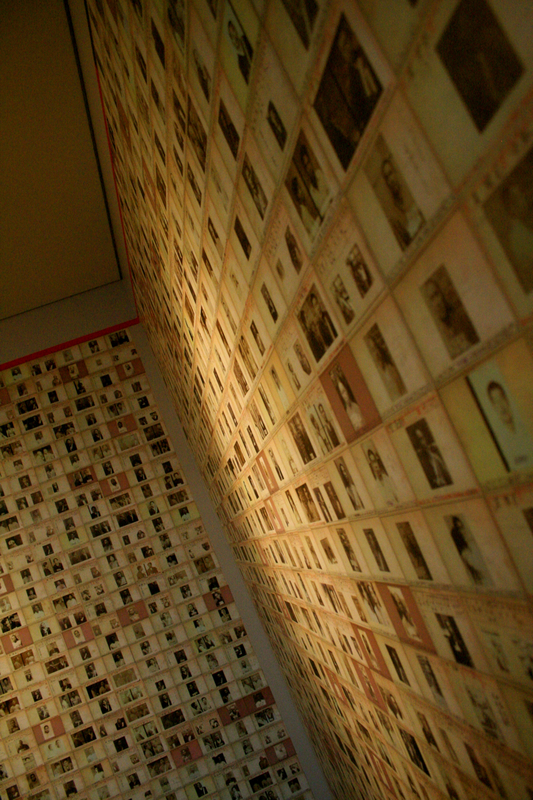 As with any site of human atrocity, there is no way of knowing how many were killed in the prison. Estimates range from 70 to over 3000. 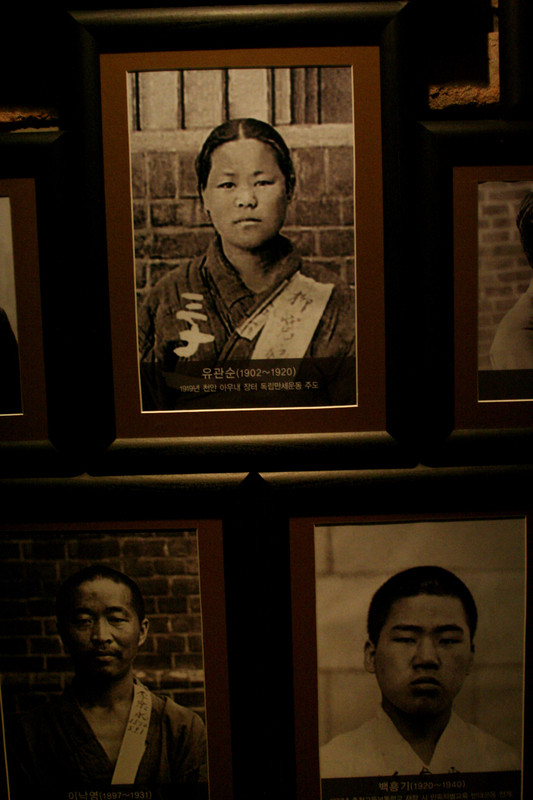 Ryu Gwan-sun was eighteen years old when her entire family was killed for being suspected of supporting Korean independence. 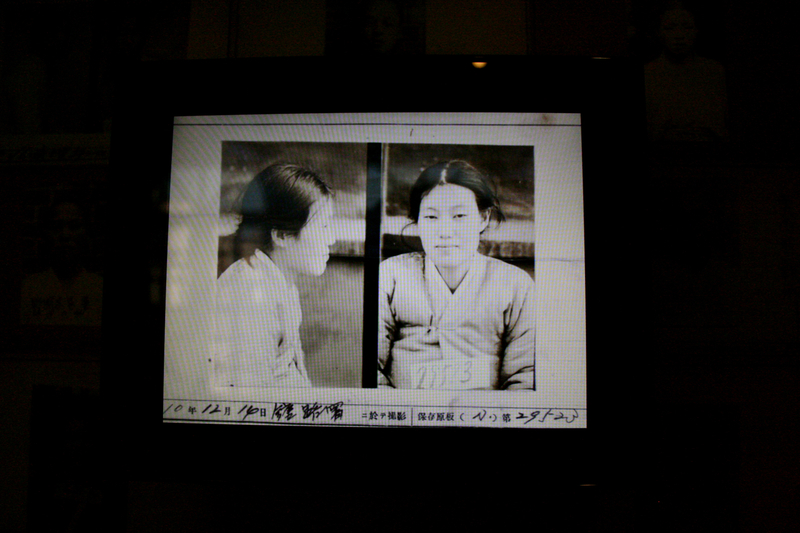 She was hold at the prison and tortured to death in 1920. This picture, hidden to one side in a room with nothing of real interest in it, caught my eye. 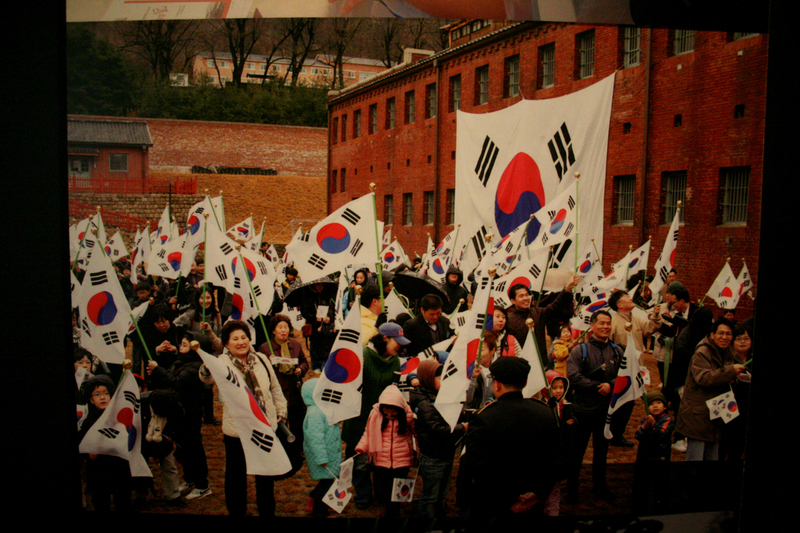 Many Koreans gathered in the prison yard bearing their nation’s flag, and the looks on their faces show the happiness and pride in their nation. Maybe it’s because I’m also from a country that fought for its independence, but this picture made me all choked up. 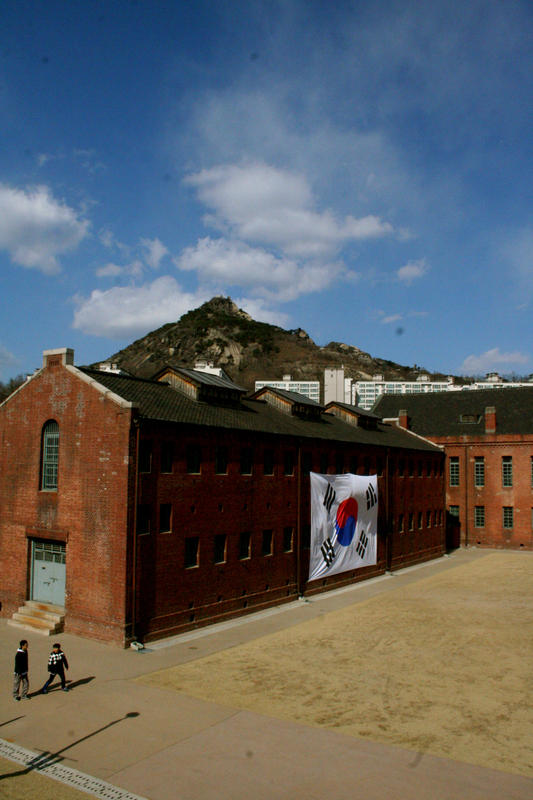 However many were killed and tortured in this prison, the spirit they worked and died for lived on. 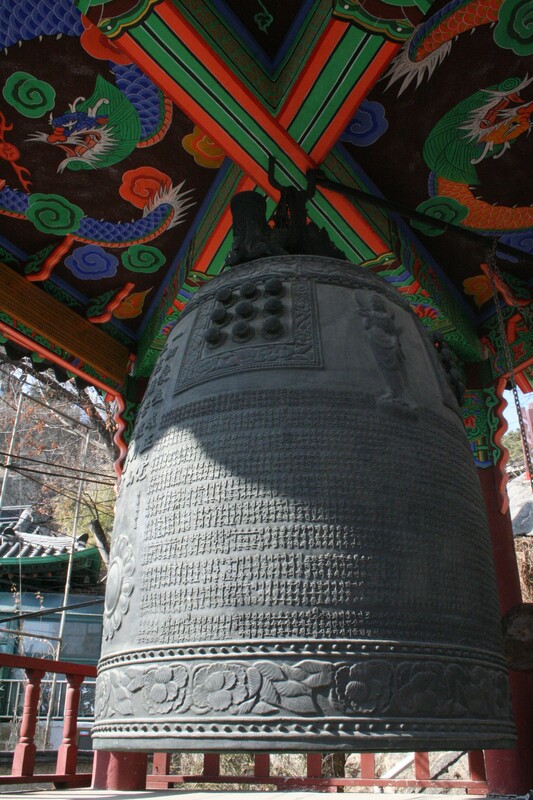 Then we went to climb the mountain across the street, home to one of the most important shamanistic shrines in Korea. 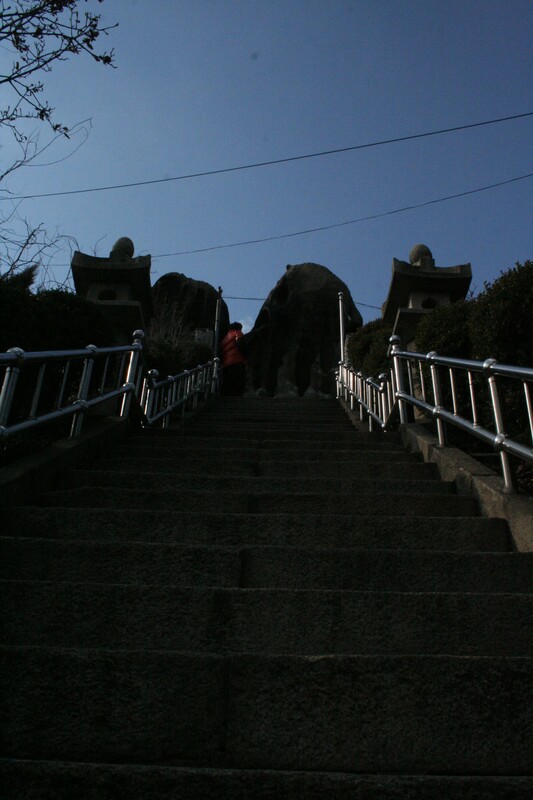 Women climb this mountain to pray with prostrations for children at the rock at the top of these stairs. I took a moment and removed my shoes and bag, and climbed up onto the platform. 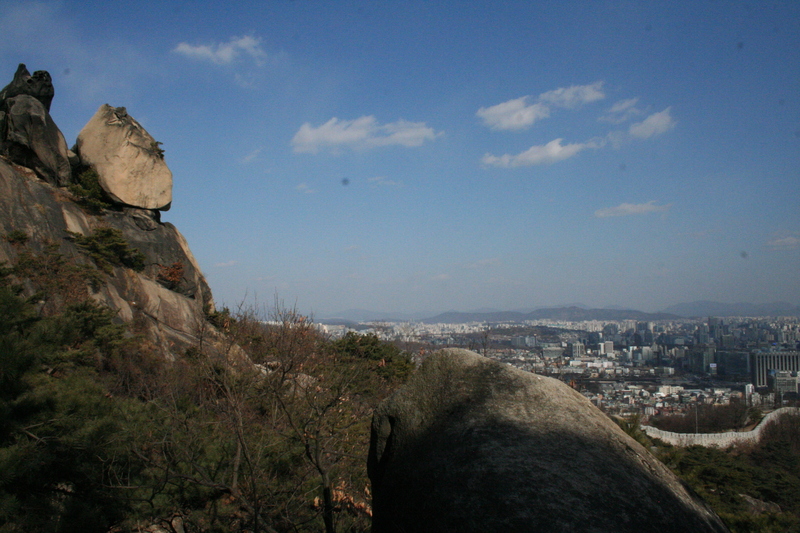 A flock of pigeons landed noisily on the rock, seeking the rice left in offering there. I closed my eyes, and heard the wind rush around my head. The women next to me we prostrating themselves, imploring the four directions for aid. I thought of those who had been held and died in the prison below. The sun shifted in the puffy clouds and illuminated my eyelids, bright red. I immediately felt more as peace. 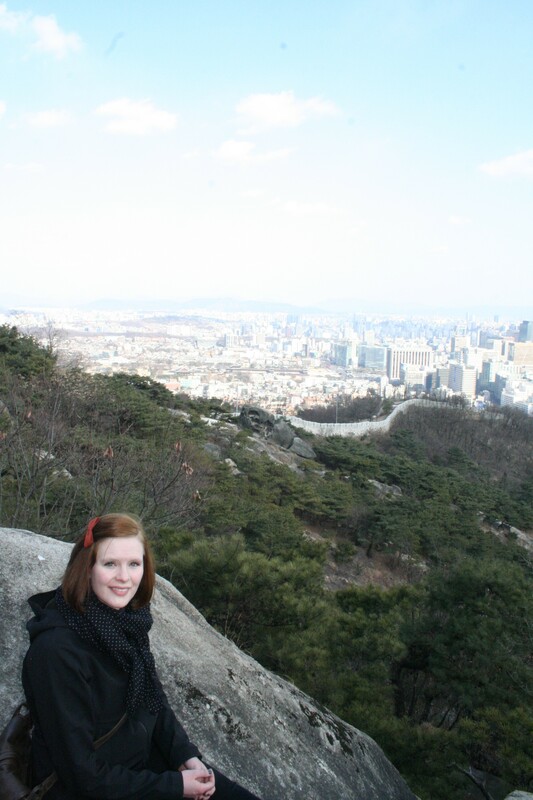 The whole of Seoul stretched out below us. It reminded me forcefully of Cerro San Cristobal in Santiago de Chile, one year ago. Buildings in a valley, as far as the eye can see. I’d missed nature so much. There are an awful lot of days that I don’t even touch unpaved ground here. The rocks and trees called to me. 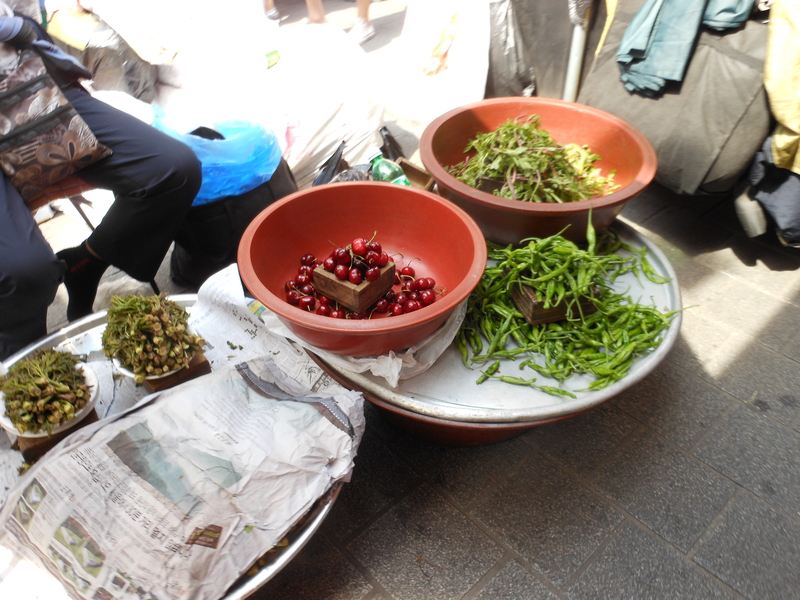 Then it was back down to the city for Moroccan food. Just another day in South Korea. A short visit to the Chongyecheon Riverwalk, a river that was turned into a motorway, and then reincarnated as a river again. 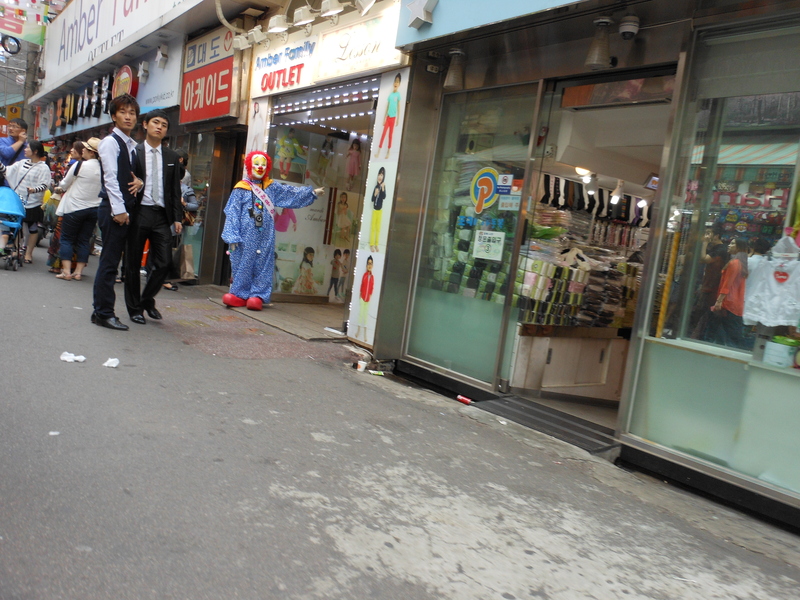 It wanders through downtown Seoul.